Pipette tips are essential to any lab that is handling small volumes of liquid – you can’t use a pipette without pipette tips! Therefore, it is important to choose the correct pipette tips to meet your needs. There are many different options available, depending on your needs for volume range, sterility, liquid type, pipette type and fit, etc. Below we will discuss some options available to you in more detail. The Eppendorf Combitip system is designed to meet the needs of any and all modern laboratories. Eppendorf Combitips include Combitips advanced® which is a replacement for the Combitips plus®. New additions include a new special ergonomic design, color-coding, and optimized graduation. Eppendorf Combitips® advanced easily attach to the repeater because of the built-in sensor which recognized the size of the Combitip. The volume automatically appears in the display which eliminates time spent making volume calculations. Eppendorf Combitips utilize the positive displacement principle to effectively dispense the precise desired volume, regardless of the density of the liquid. The Eppendorf Combitips prevent aerosol contamination even when working with aggressive, radioactive, or toxic material due to the hermetically sealed piston. While bulk tips might be the best option out there for labs where the budget is tight, Racked Sterile Tips are a much better option for labs where sterility is paramount and the time of scientists and lab technicians is valuable and there is no extra time available to be constantly refilling and reracking tip boxes every time one is emptied. This is especially true in labs where a lot of multi-channel pipettes and multi-well plates are used, as these labs will often go through an enormous amount of tips per day and would simply not have the time to be refilling tip boxes every time they need to plate up a new plate. 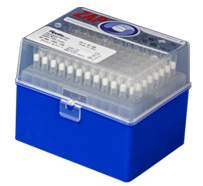 Using a multi-channel pipette, you could empty a tip box in minutes. In these situations, it is best and makes the most sense to be able to just open another fresh box of Racked Sterile Tips. While bulk tips might be the best option out there for labs where the budget is tight, Racked Tips are a much better option for labs where the time of scientists and lab technicians is valuable and there is no extra time available to be constantly refilling and reracking tip boxes every time one is emptied. Bulk Tips can save you a large portion of your budget by saving a large amount of the money you would normally spend on racked tips. The trade-off is that you have to rack up the tips yourself, every time. This is especially true in labs where a lot of multi channel pipettes and multi well plates are used, as these labs will often go through an enormous amount of tips per day and would simply not have the time to be refilling tip boxes every time they need to plate up a new plate. 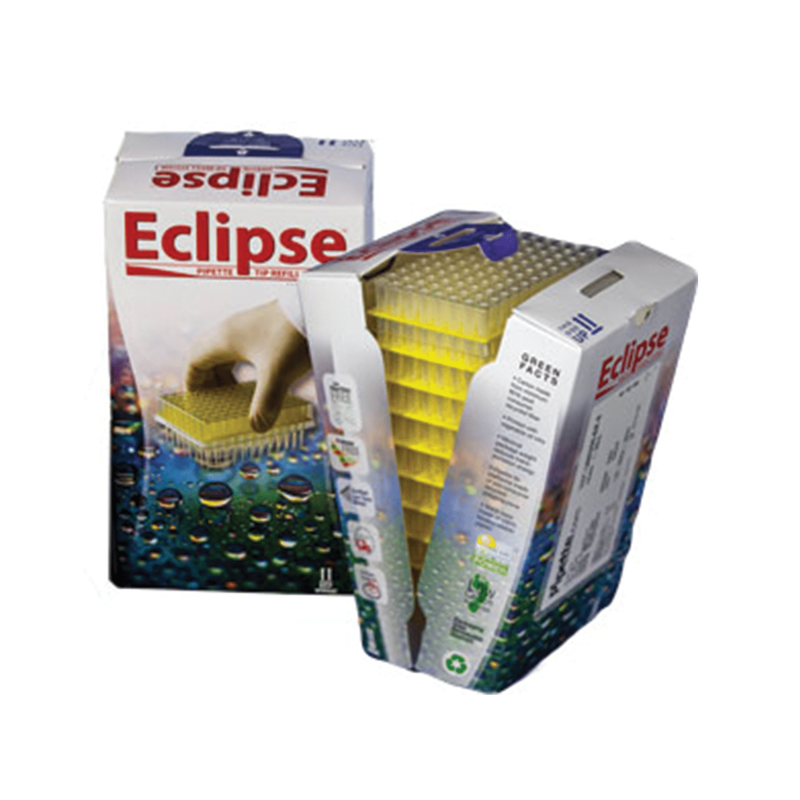 Using a multi channel pipette, you could empty a tip box in minutes. In these situations, it is best and makes the most sense to be able to just open another fresh box of Racked Tips. 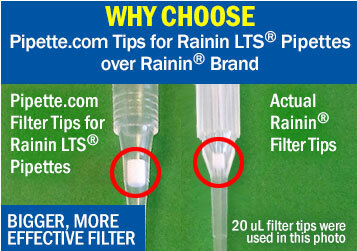 Designed for LTS® and XLS® Rainin pipettes, Pipette.com Tips for Rainin LTS® Pipettes are a quality economic alternative to the Rainin tips. Molded utilizing special resins, the Pipette.com Tips for Rainin LTS® Pipettes require the least mounting force in the industry while still providing an airtight seal. This ensures that tips are able to properly mount on pipettes even with worn out barrels. Repetitive pipetting over hours and constant changing of tips during each processes can lead to injury. Pipette.com’s tips for Rainin LTS Tips (Lite-Touch System) pipettes provide effortless tip mounting and tip ejection to help operators avoid laboratory related injuries. Filtered pipette tips are a perfect choice tip to utilize while training new individuals who are using a pipette for the first time. The filter inside of these tips will prevent over aspiration of sample up into the inside of the pipette shaft, which will damage a pipette creating high costs. Whether you are operating a university lab filled with students who have never aspirated a pipette before or a laboratory setting training new technicians on proper technique, filtered tips are a cost effective tool that can be used as a preventative measure towards protecting your pipettes longevity.